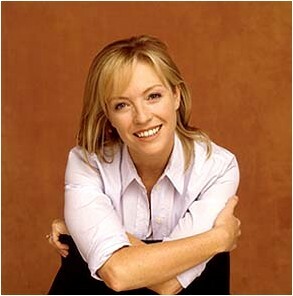 Rebecca Gibney will return to comedy for the pilot of a new Seven comedy / drama Packed to the Rafters says the Daily Telegraph. To be shot in Sydney, the series comes from creatives behind Always Greener including producer Jo Porter, writers Anthony Ellis and Bevan Lee. Lee is also a key drama executive with Seven through Home and Away. The show is about empty nesters whose adult kids move back home. Gibney featured in All Together Now many years ago for the Nine Network, but has a string of respected drama performances under her belt. She has also recently appeared in the feelgood film, Clubland. Source: Daily Telegraph and Media Spy. The axing of Always Greener is now frequently referenced in the industry as a show that had ratings of 1.2m which would now be welcomed by any network. However in “those days” 1.2m was well behind what were considered strong ratings of above about 1.6m. But since the internet, downloading and all manner of distractions, the landscape has changed. 1.2m is now a figure embraced and nurtured! Well said, Leith re Always Greener. I’m STILL not over it and it was THE ONLY show that had our WHOLE family excitedly tuning in every week (6 of us, ranging from ages 14-50). Hopefully this show’ll use some of that Always Greener spark, along with the talents of Gibney to produce another high-quality, all-appealing show that’s a real winner. I LOVE Rebecca Gibney, so I’m stoked that she’ll be in this new show. I hope it does well, I never got over Always Greener being axed so hopefully this will be good. The thing I loved about Always Greener was it was the first show EVER that my entire family enjoyed watching together. Hopefully this has the same effect.